The world's first heated tool to finish 3D prints; with variable heat and interchangeable heads; designed for specific 3D retouching tasks. Remove supports. Retouch3D’s remover heads make it easy to remove large support structures, as well as close-in structures that are hard to reach. Refine your print's details. 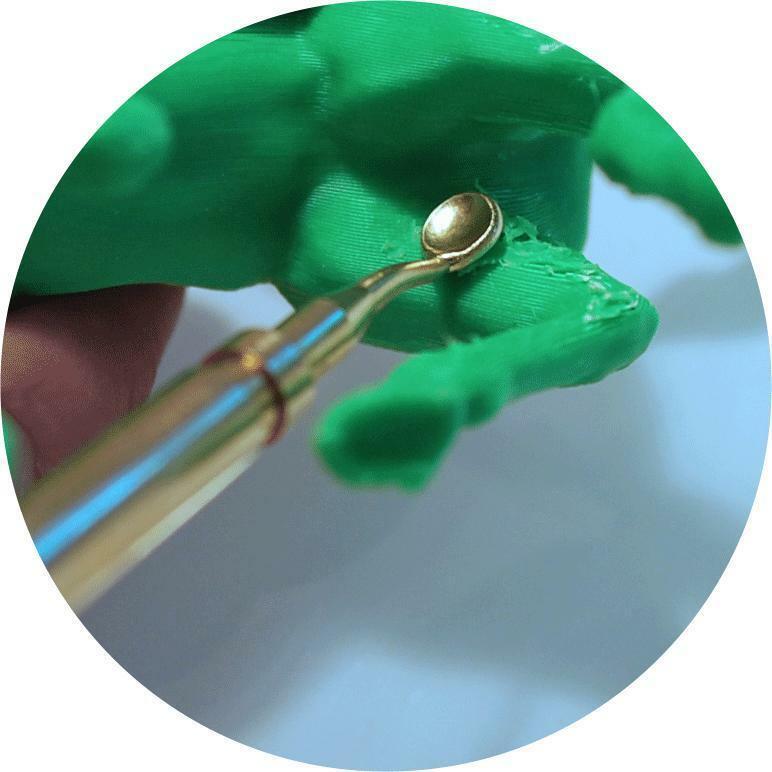 Retouch3D’s refining heads will allow you to refine both small and large layer imperfections. Retouch3D’s micro refiner head will carefully refine curved and close-in overhangs. Surface blending. Use Retouch3D’s blender head to even-out print surfaces and infill gaps. 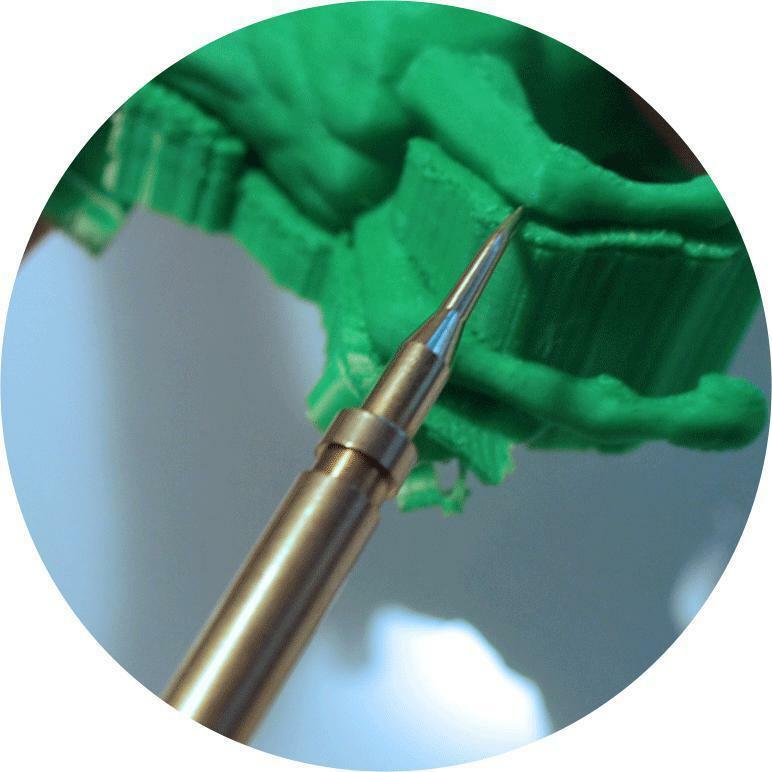 Blend the extraneous ridged surfaces of your 3D print to reach the finish your model deserves. A control system for accurate temperatures to work with mainstream 3D printing materials. Interchangeable heads to take-on the bigger jobs and finish the finer details. 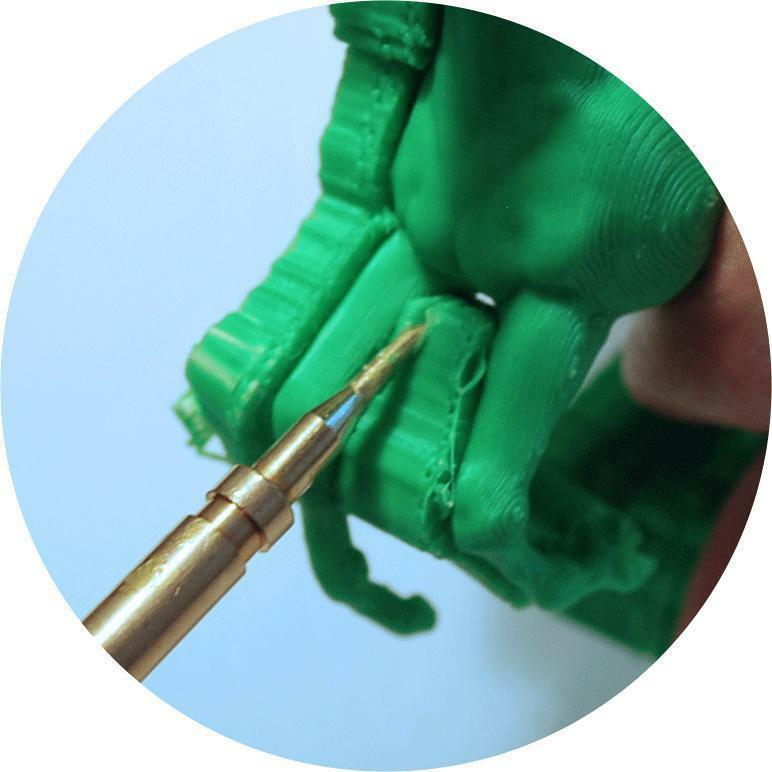 The next essential tool for anyone with a 3D printer: makers; hobbyists; artists; and engineers. © Copyright 2017 3D 2.0 Ltd. All rights reserved. Retouch3D and its associated logo are trademarks of 3D 2.0 Ltd. All other trademarks are the property of their respective owners. All 3D 2.0 Ltd. products and services are subject to continuous development. We reserve the right to alter technical specifications without prior notice.